We’ve just been informed that Apple has a significant upgrade on the way for iWork. 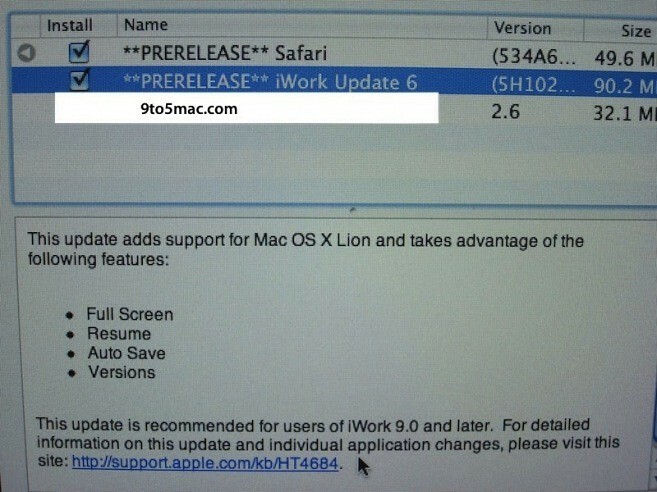 The new version has support for Lion’s standout features including Full Screen mode, Resume, Auto Save and Versions. The download, at least in its pre-release form is 90.2MB. Also, is that Safari getting a little update as well? In case you are wondering, that KB Article isn’t yet live.